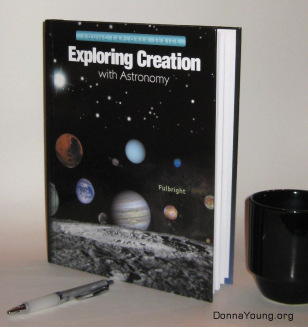 The Young Explorer Series is an easy to use science curriculum written for children who are the ages of six through twelve. Each book uses the immersion approach about the subject. The teacher is advised to use a year on the content so that the student will learn about the subject to a greater depth than what is typically learned. The course does not include tests or workbooks. Instead you will evaluate how well your children are learning with the Charlotte Mason method of narration. The author asks you kindly not to skip the narration and she explains why narration is important. I agree that narration is a valuable tool and you should not skip the narration. What is narration? Narration is telling in your own words, whether orally or written, what you have read, watched, or heard. Read about narration from Charlotte Mason's Books. Please read all of Jeannie Fulbright's comments that are in the front of each book. I have but one of these books. I purchased it solely to get an idea of the flow, style, and content of the books. Please do not expect full lesson plans for these books from me. The wide age group range that one can use the books with stops me from even "thinking" that I could possibly make sets of plans that would work for all ages, plus I do not have time to make lesson plans. I prefer to leave the planning up to the one who will teach this class because that person knows the student(s) best. That said, which was too much information, I have made several planner files that one may use to plot the course. The files I have made contain a page for each chapter as well as a "continued" page that is at the end of the file. Each chapter page has a checkbox list of contents and a checkbox list of supplies. The right side of the pages has a space for lists and the left side has a space for notes. To download the files, go to the "TOC Planners" link and get the file you need. Donna Young's TOC Planners for Apologia's Elementary Series for all of the books. These are not lesson plans.